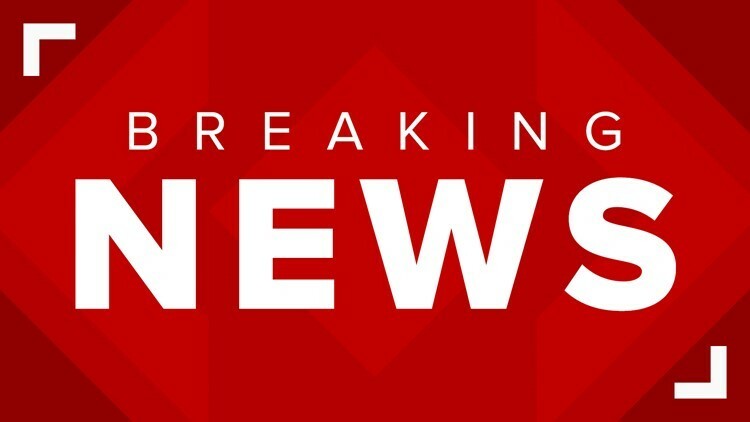 The westbound lanes of 520 into Seattle are blocked following a multi-vehicle crash. 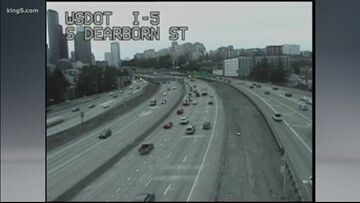 Drivers will face overnight lane closures on southbound I-5 in Seattle as crews continue Revive I-5 work. 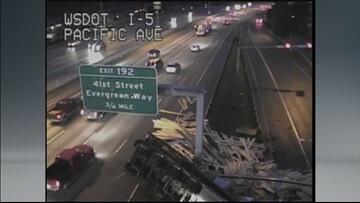 There will also be two southbound I-5 exits closed in Tacoma. 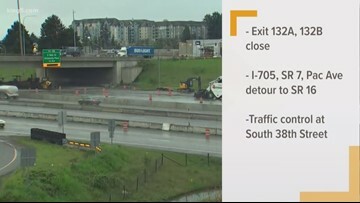 KING 5's Jordan Wilkerson explains the closures of to SB I-5 exits (132A and 132B) in Tacoma this weekend, April 20-21. 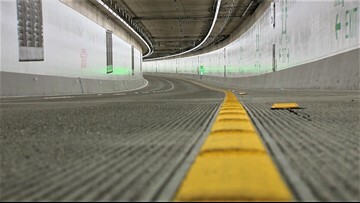 State workers will check the Seattle tunnel's ventilation, cameras, and fire detection system when they close the southbound direction Friday night. 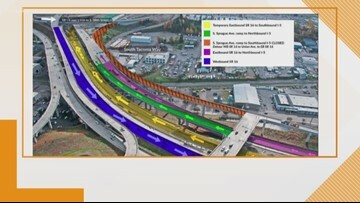 Multiple construction projects will impact traffic around the Puget Sound region this weekend. 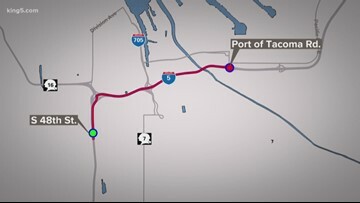 Construction on SR 16 and southbound I-5 will cause delays for drivers in Tacoma this weekend. 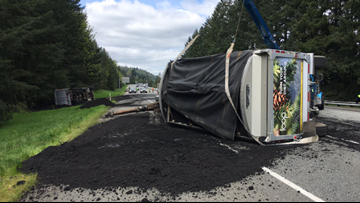 An overturned semi blocked traffic on southbound I-5 at Pacific Avenue in Everett on Friday morning. 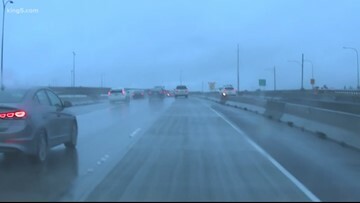 WSP did some overnight emphasis on the new speed limit on I-5 near Tacoma, and in just 90 minutes they nabbed 20 drivers for going too fast. 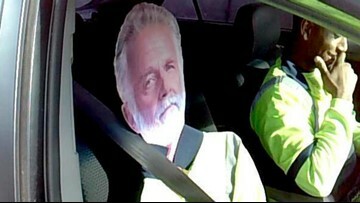 Fourteen of them got a ticket for aggressive driving. 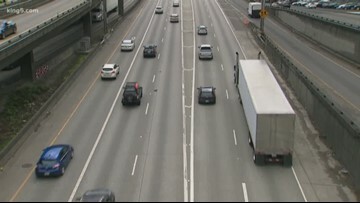 Drivers caught violating the HOV lane laws in Washington state more than once would face a fine of more than $600 if a bill in Olympia is approved. 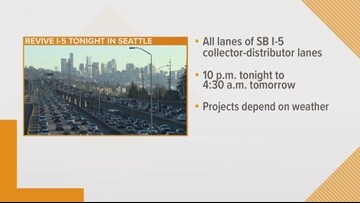 The southbound Interstate 5 collector distributor lanes will be closed at Airport Way Monday from 10 p.m. to 4:30 a.m. 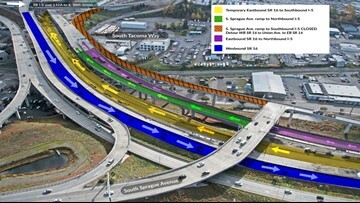 The Edgar Martinez Drive/Fourth Avenue South on-ramp and the James Street/Sixth Avenue South on-ramp to southbound I-5 will be closed Monday from 9 p.m. to 5 a.m.
After eight traffic-snarling crashes on I-5 in Tacoma, the state lowered the speed limit while construction in the area continues. 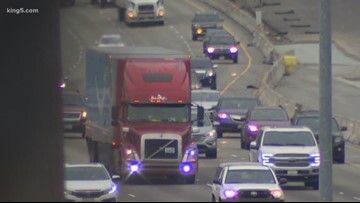 New speed limits are in effect along an eight-mile stretch of Interstate 5 from South 48th Street to Port of Tacoma Road. 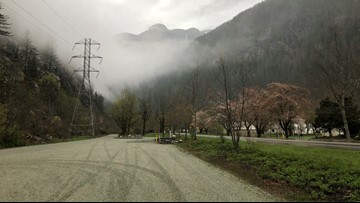 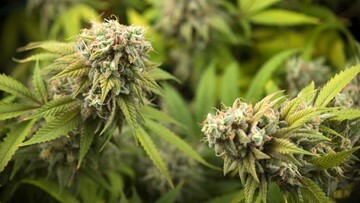 The new limit is 50 mph. 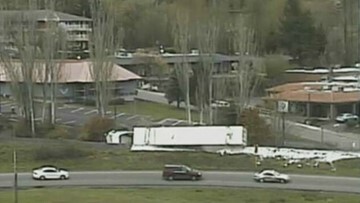 A semi truck hauling paint overturned on the southbound I-5 ramp to westbound SR 518. 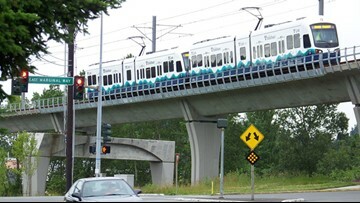 Use an alternate route to Sea-Tac Airport. 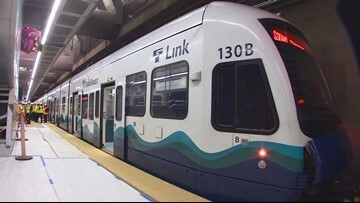 Sound Transit released possible routes and light rail stations this week for its Tacoma Link Extension project. 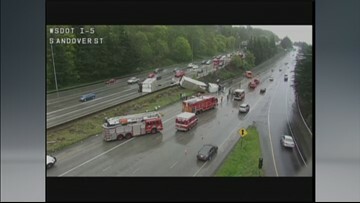 Multiple lanes were blocked for hours after a semi-truck lost control and rolled over on I-5 in Seattle. 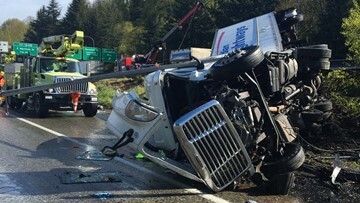 A semi-truck crash on I-5 just south of the West Seattle Bridge blocked lanes in both directions and caused major backups Saturday morning. 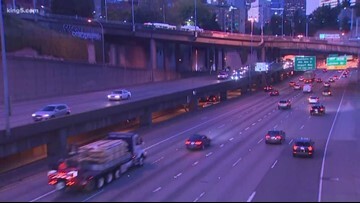 Drivers should expect to see late night construction work on I-5 S through downtown Seattle. 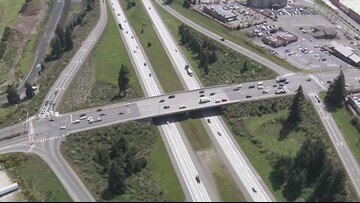 Detours and lane reductions will go in place Tuesday evening near the I-5 exit to Marvin Road in Lacey.